I was born in Korea and my parents moved to the Netherlands when I was one. Occasionally we would visit Korea. One of the things I have loved about Korea ever since I was young and continues till this day and will never change is the colourful, playful things they have with anything that has to do with stationery. Tapes always caught my attention. I would always bring back a few rolls with cute little drawings and kids would want to play with me, so they could use a bit of that tape. 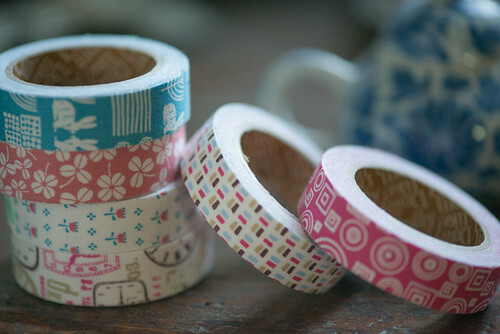 Nowadays a Japanese company has made decorative wasi tape very popular and you can even find it in Italy in the shops (now that is saying something according to a lot of my crafty friends here). 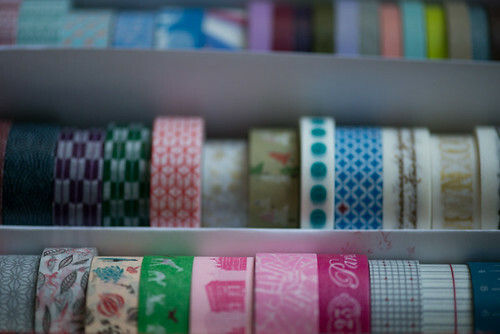 But I was in Korea last fall and there is a Korean company which has a lot of very cute decorative masking tapes. I haven't seen those here in Italy so I brought some back from Korea. My daughter and her friend love them and I gave them a few. My collection of masking tape is still very considerable despite giving some away. My daughter and her friend like to tape them to their study books, diary and all sorts. 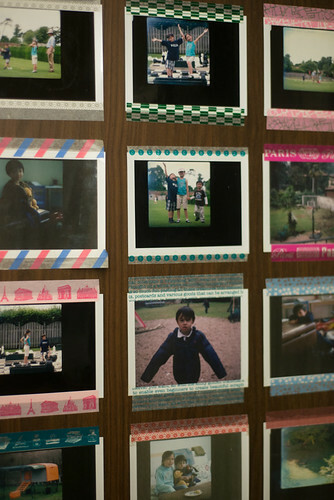 I like to use them to tape polaroids I take here. 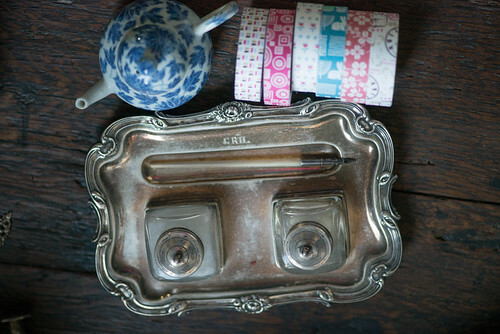 Apart from masking tape, they also have fabric tape. Now that is something lush. I brought several of those back as well. The thing with the masking tape is that it is translucent. This can be an advantage, but sometimes a disadvantage. You can't see the design too well if you tape it over something busy. But this fabric tape feels like taping down a fabric band aid. It is a joy to use. 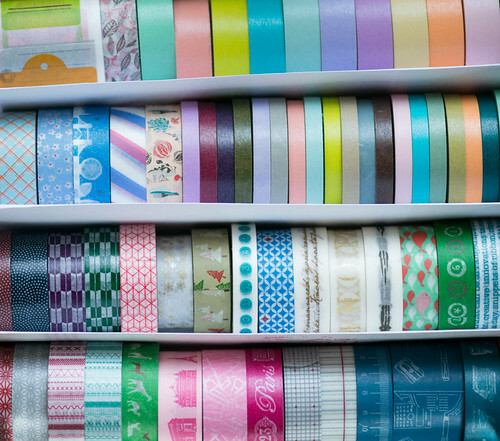 If you ever see some, I can recommend you buy some if you like tape like me. I wonder if in the old days they would write real letters, not so much today as mostly things are done by email (I'm mostly guilty of that fact too), they would enjoy this type of tape as much. I'm sure everybody would agree they would!